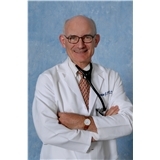 Martin O'Hara, M.D. (Arlington) - Book Appointment Online! My approach to helping people have a long and healthy life is: prevention, prevention and prevention. With the help of my skilled staff I will give personalized care and use my network of medical colleagues for referrals to other specialists, when needed.